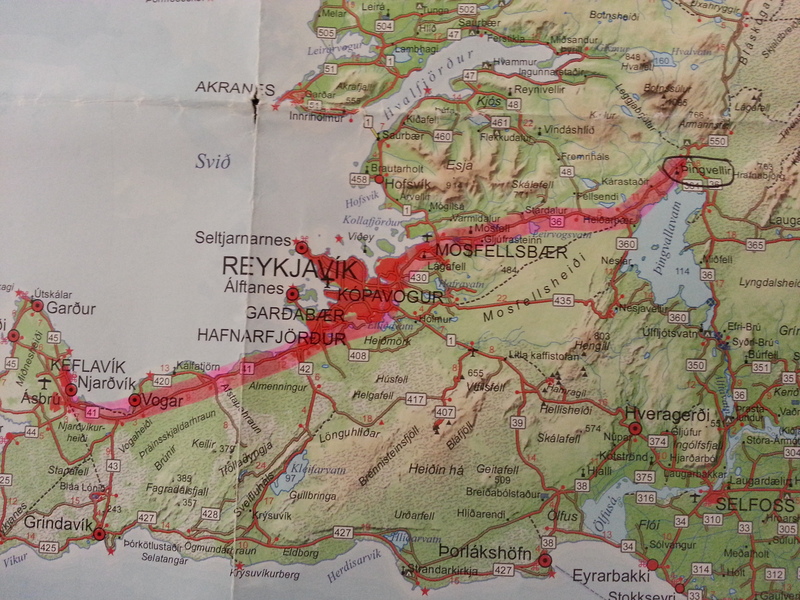 From 18/09/15 to 27/09/15 we spent 9 amazing days in Iceland, including 7 days travelling the Ring Road, also known as Route 1 and our final 2 days we spent in Iceland’s Capital – Reykjavik. As we landed in Keflavik, Iceland’s main airport, it became clear to us that this was going to be a place unlike any we have visited before, and I could see why people describe it as like “landing on the moon“. 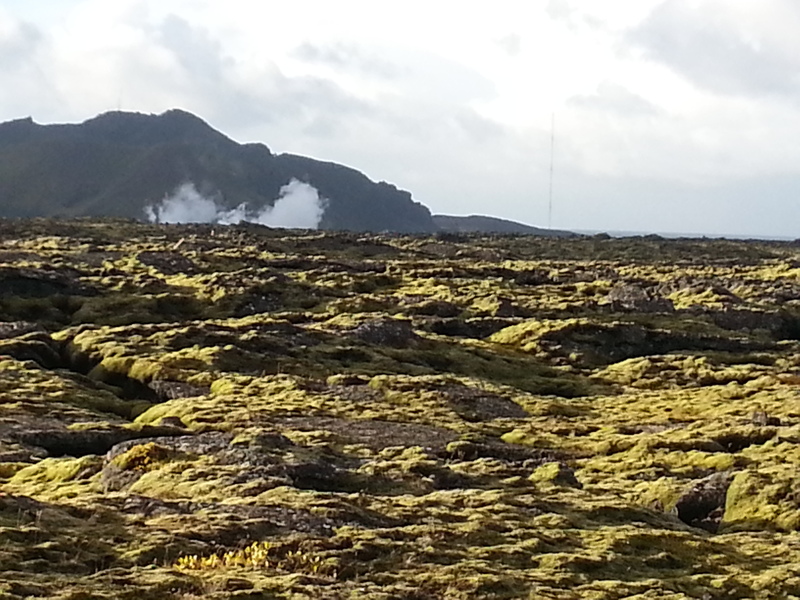 We looked out to see a breathtaking landscape of solidified lava flows covered in a velvet green moss with reds and yellows thrown into the mixture; steam was coming out of the ground in the nearby “Blue Lagoon”. 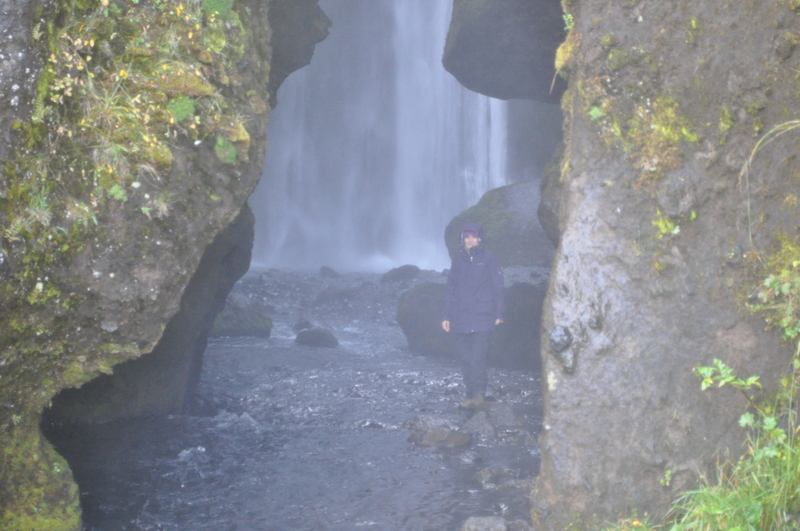 Iceland has been in our bucket list for ages in fact our son James visited it with his High School Geology class few years ago and loved it so much he is coming back again with his girlfriend Meghan, they are both Geology students at University and Iceland is like a big playground for them. It is a relatively young country in geological terms and it is still growing, moving and transforming itself by powerful natural forces that will continue to shape the Icelandic landscapes. We arrived mid afternoon and after collecting our camper van from a big warehouse somewhere very near the airport, we drove towards Thingvellir (Þingvellir) National Park, where we found a camp-site to spend our first night in Iceland. 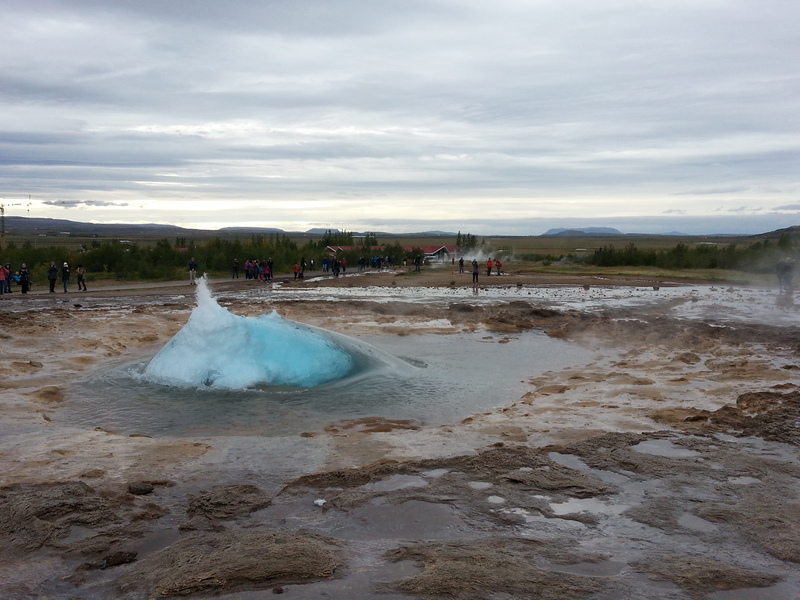 Driving in Iceland is very easy, so says my husband Brian who did all the driving poor thing. I did offer and I was also a named driver in our hired van contract, but I actually really enjoyed sitting back and being driven around for a change. Route 1 is a good road and the traffic was very light, even though it was busy around the Airport and towards Reykjavik it was a relatively easy journey – if not for a sheep calmly crossing the road in front of us forcing Brian to swerve sharply left to avoid killing it and frightening the hell out of us and the poor sheep. But luckily due to a low key traffic and quick reaction we managed to avoid what could potentially have ruined our holiday. Shaken and now even more cautious we carried on and we did have few more sheep-on-the-road encounters, but this time we were prepared. See the map below detailing the route we took on our first part day in Iceland, from the airport on the left, to the camp site on the right, it took us about 1 hour. Þingvellir – Pronounced Thingvellir, is a UNESCO World Heritage Site and it forms part of the “Golden Circle” which encompasses 3 very popular attractions including Geysir and Gullfoss. We arrived at the Visitor Centre first, which was already closed, but we were able to have a look out from a board walk/viewing platform, with the sun fast disappearing it was already getting a lot colder, but we stood there admiring the beautiful and surreal landscape for some time. The Visitor Centre was already closed, although I did notice that the toilet facilities were open.To use the facilities here there is a charge to pay of about 200 Ikr, coins or a card can be used to pay, but we did not actually use the facilities here and found good facilities at the National Park and Information Centre Cafe a very short drive away down the road. The National Park and Information Centre Cafe has a Camp Site and that is where we found a spot to park our van and stay over for the night. The Cafe was still open for business at the time of our arrival at around 6 pm and therefore we enjoyed a tasty, warm bowl of soup and our first of Iceland’s famous hot dogs. We enquired about the Camp Site and we were told that we could find a pitch to park our van and just pay for the Camp Site in the morning, since the office was now closed. The facilities were good with clean toilets and a small area for cooking and washing up. There were only 4 or 5 other campers there and we enjoyed a very peaceful night, although the temperatures dropped during the night we had good sleeping bags that kept us warm. We realised on that first night that our camper van was a bit too small for us, with hardly any head space, and we could not sit up in bed at all. But we were excited to be in Iceland and ready to start exploring this amazing country. Our love-hate relationship with our camper van would last for 7 nights and saw us staying in some great locations, it gave us flexibility to move at our own pace and peace of mind knowing that we always had a bed for the night. The next morning we woke up at our quiet Camp Site just next door to our first attraction and so it did not take us long to get ready and start exploring Þingvellir. The Geology in this area is mind blowing, since it is here that the American and European Tectonic Plates are being pushed apart at a rate of about 1 to 18 mm per year, and massive earth fissures can be seen, the only place in the world were you can step into two continents at the same time. Europe and America. It is also a site of Historic importance, since the Vikings established the worlds first democratic Parliament here in 930 AD remaining here until 1798, essentially it was in this place that the laws, culture and identity of this great nation started. 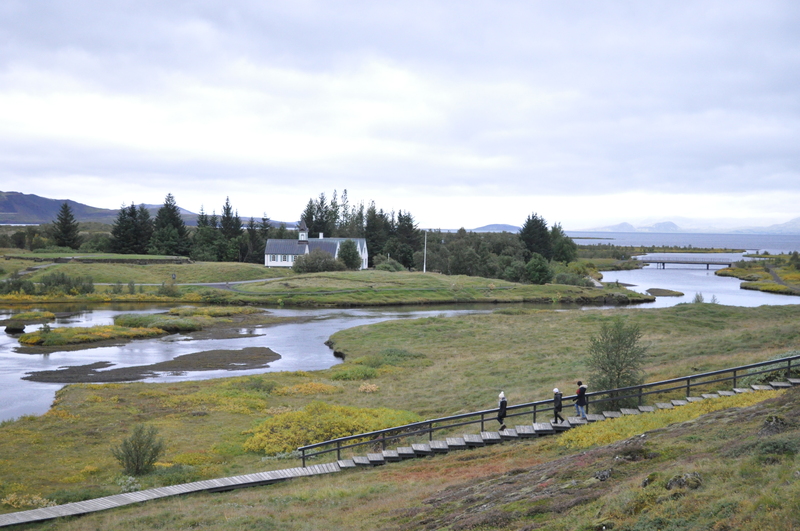 Þingvellir is by the largest natural lake in Iceland, Pingvallavatn at 84 sq km of cool glacial water and an important refuelling stop for migrating birds and the lake is rich in marine life. An interesting activity in this area would be to scuba dive or snorkel at one of the the cracks in the rift valley, the Silfra Fissure, where you can dive between the two Tectonic plates, literally a very cool activity indeed if you don’t mind freezing water, although we have scuba dived many times before, in warmer places, we decided not to do it this time. You can spend a lot of time exploring here since there are rivers, waterfall and trails that will take you on a fascinating journey along this rift valley and volcanic landscape. We spent about 2 hours exploring and walking some of the main trails. 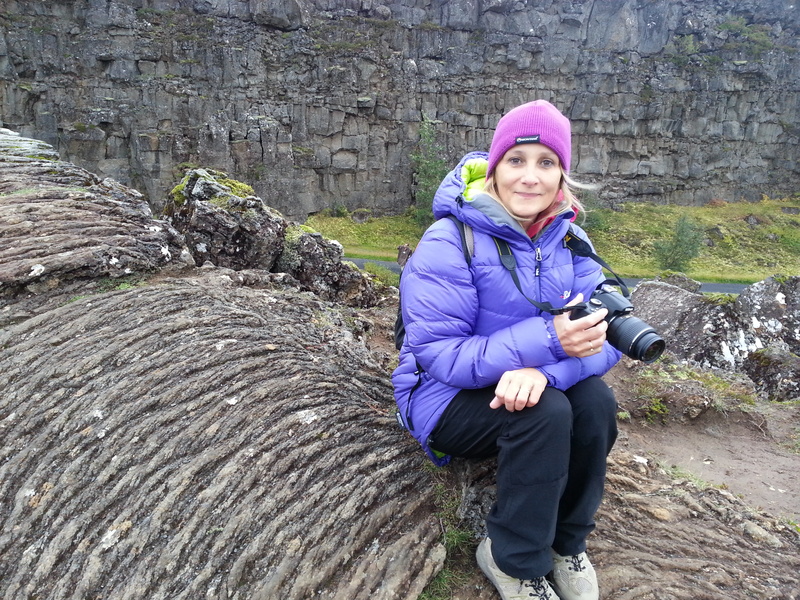 A tourist sitting between Tectonic plates at Pingvellir, on some cooled lava still showing the ripples in its surface from when it first tuned to stone. 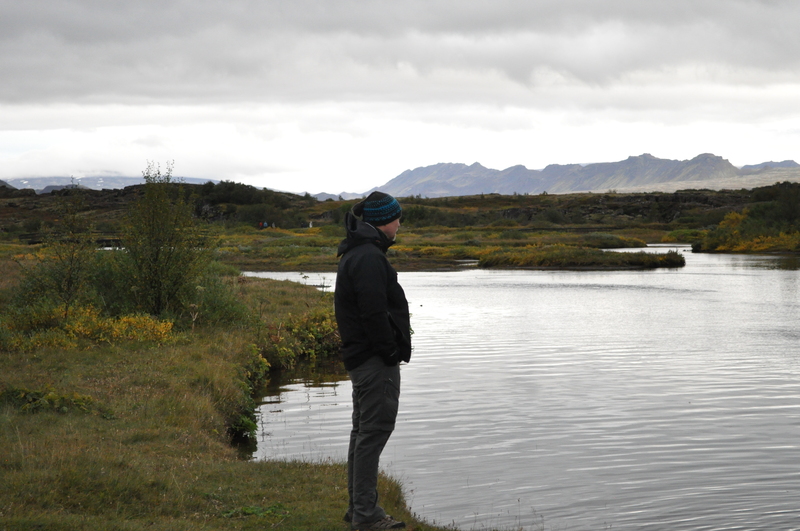 Brian of course had his eyes on the fish in the glacial lake and was already dreaming of all the fantastic fishing he could be doing here, something for him and Jamie to do together in the future. There was a big trout jumping in the river and Brian was mesmerised, he can’t pass a piece of water anywhere without looking out for fish and thinking how he would try to catch them…and then most of the time he will put it right back in the water. We continued on Route 1 to our next stop, Geysir, a Geyser which was the original hot water shooting spout that inspired the name of all the other Geysers in the world, since the word Geysir means gusher, but Geysir is at present not erupting very frequently and has been less active since 1916 although Earthquakes can stimulate some action. 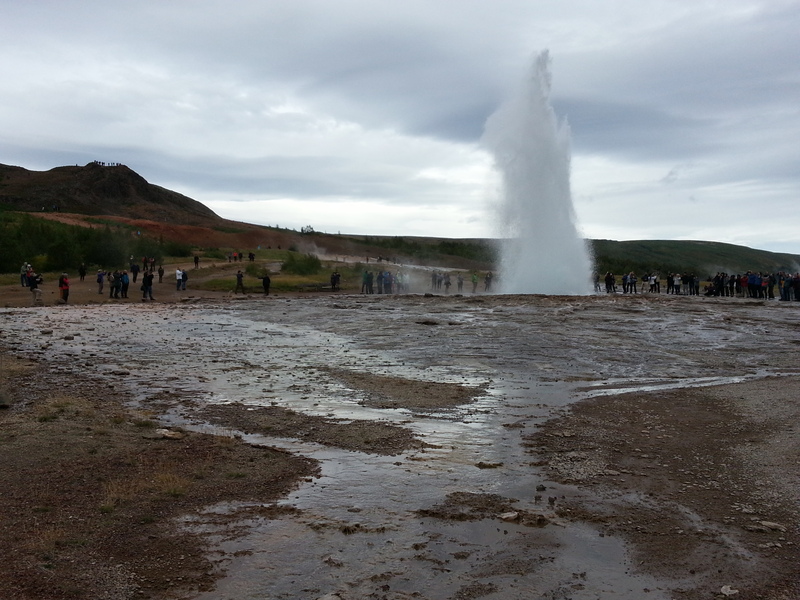 But its brother Strokkur will more than make it up for it by erupting every 5 to 10 minutes and often with consecutive eruptions that are spectacular. We witnessed quite few of them. There are no entrance fees to pay to visit this place and the facilities are also free, with a Visitor Centre, souvenirs shop, and three good options for eating such as a large restaurant, fast food place and a cafe. There is also a hotel and a camp site nearby. We had lunch here at the Cafe and I ate the most expensive lamb soup I have ever eaten, it cost me £9. 00. It was lovely, but hello…??? It’s a soup, and unfortunately I had not looked at the price before serving my self a bowl of it. 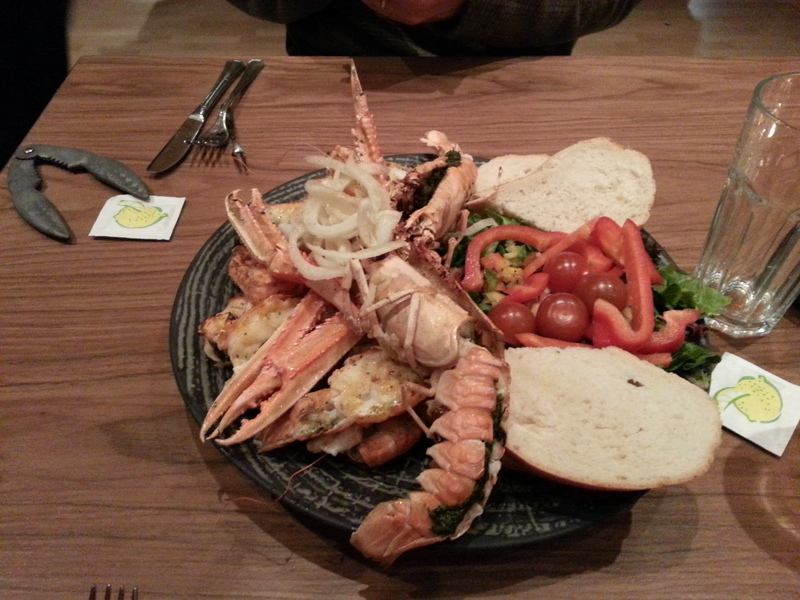 Brian had a much more reasonably priced burger and chips. Gullfoss – Means Golden Falls, created by the river Hvita, Gullfoss is a double tiered waterfall, like layers of a giant cake, it’s first drop is about 32 meters and then it falls down again into a deep ravine forming a thunderous cloud of spray and you will most likely get wet if standing nearby. We got very close and luckily our waterproof jackets kept us dry. It is powerful and very beautiful, I would love to see it in the winter with the landscape covered in snow. Gullfoss, see at the top left there is a look out point. 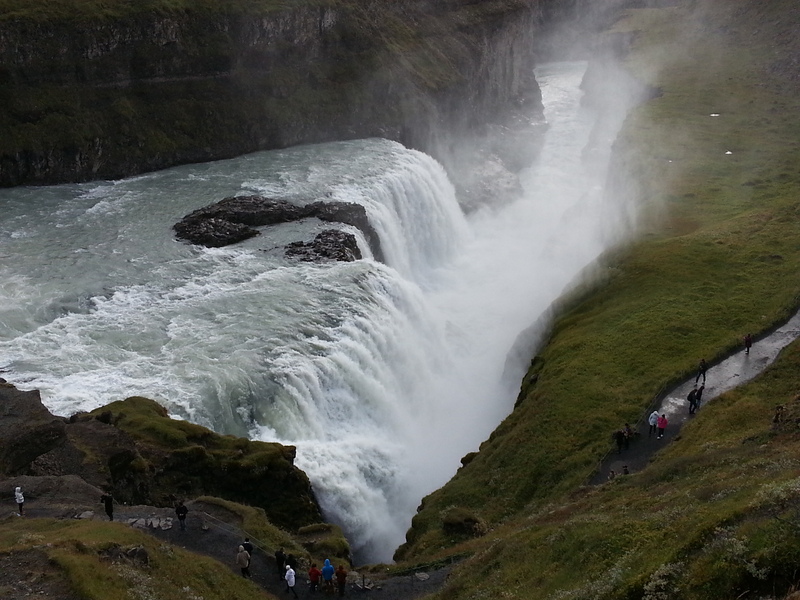 Gullfoss – View from the look out point at the top. The roar is awe inspiring. With the “Golden Circle” completed we drove South towards Selfoss on Route 35, again a very good and scenic road, arriving later in the afternoon at our Camp Site for the night called Hamragardar. It was situated in a beautiful setting just opposite another beautiful waterfall called Gijufurarbui and only a few hundred metres from the more famous Seijalandsfoss which tumbles down over the rocks and, although slippery, a path behind the falls allows for stunning views through a veil of water. Our second night in Iceland was at this idyllic setting and yet it was the wildest night of all, with wind and rain beating down on our little camper van it was quite scary. Wondering just how much wind would it take to blow our little van right over on its side!? The camp site had good facilities including a nice kitchen with all the necessary cooking utensils. It was great to be able to cook and eat breakfast in a nice warm room. We met other travellers and it was lovely to exchange travelling stories. 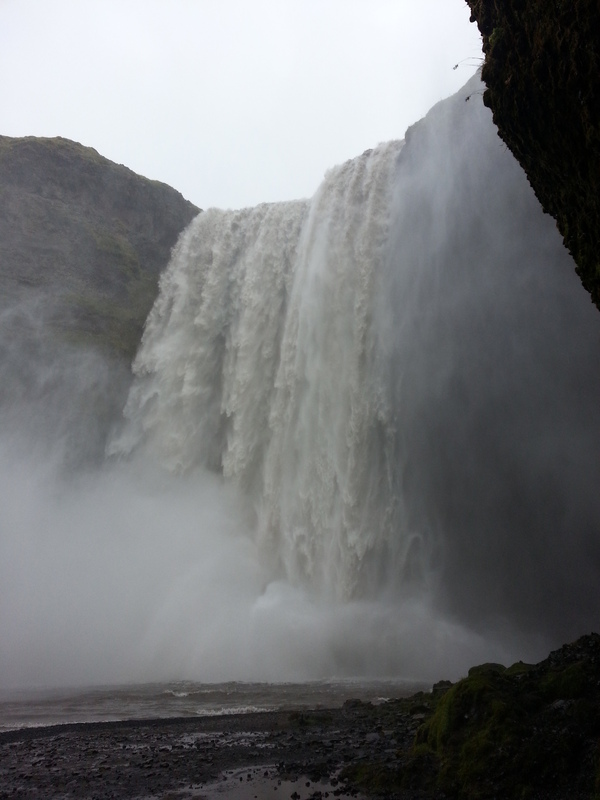 We woke up to a fresh morning with a forecast of sun and showers throughout the day, and soon after breakfast we headed off to explore the 2 waterfall nearby Gijufurarbui and afterwards Seijalandsfoss. Gijufurarbui is almost hidden inside a cave, it falls down from a Canyon and we managed to climb up a steep and muddy hill followed by some wooden steps to view it from above. 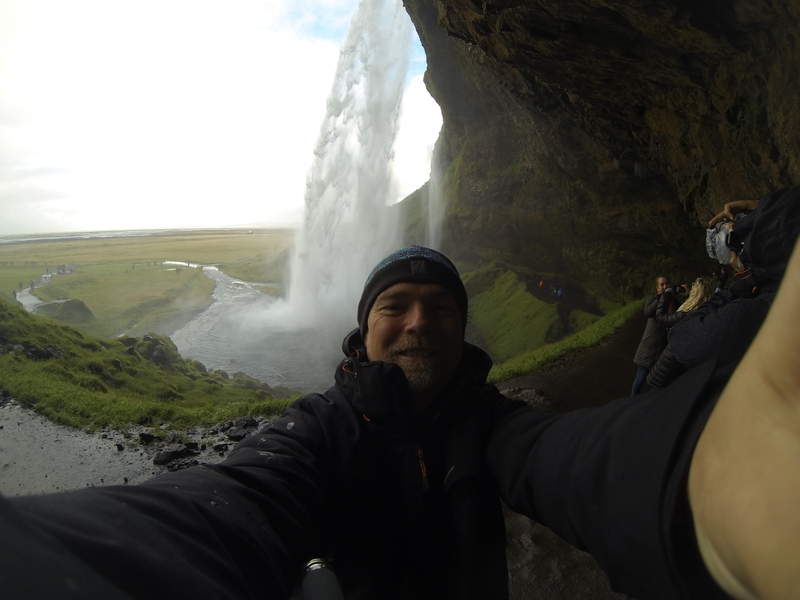 Most people don’t visit this waterfall, since they tend to go to the more famous Seijalandsfoss next to it, but since our camper van was parked right opposite this hidden gem we went over to explore and I am so glad we did. 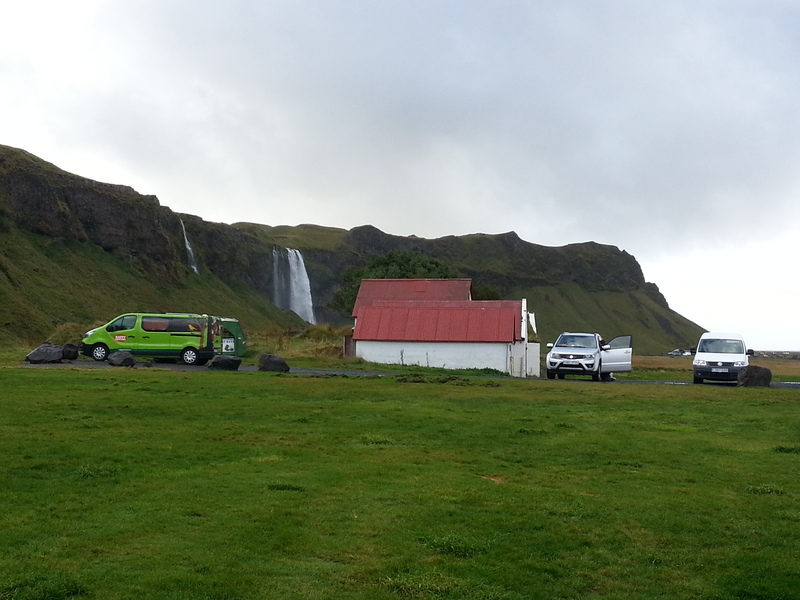 Hamragardar camp site next to Seijalandsfoss, see our van is the white one on the right. 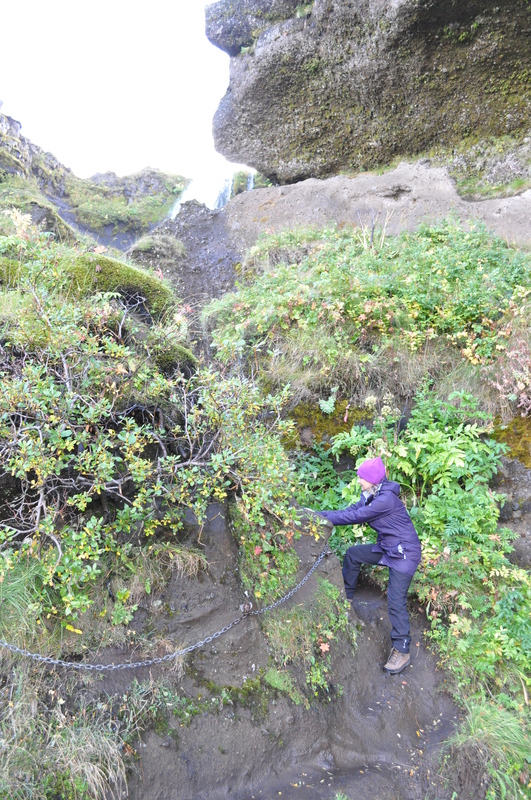 Steep and muddy climb to see the Gijufurarbui Waterfall from above, thank goodness for that chain to hang on to, it was a ten meter drop immediately to the right! 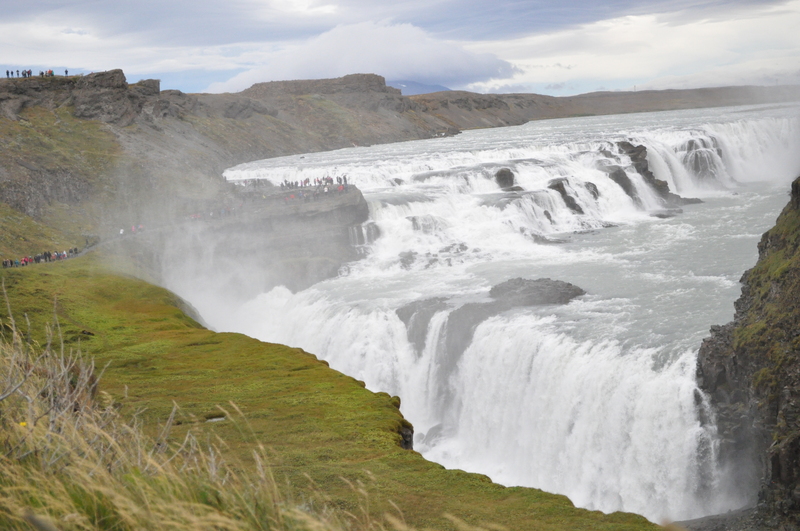 Seijalandsfoss can be seen from the Ring Road and is a popular attraction, since so many tour buses stop here. It was already busy in the morning when we visited, but it is busy for a reason. You can walk right behind it, but be careful it is very slippery. I was surprised at the lack of trees in Iceland and in particular in the South, but with no trees the views just go on for ever and the beauty of the landscape can be fully appreciated, we drove past farmland and mountain views in the far distance, we passed little villages, and we passed the flood zone that was inundated with murky ash from the eruptions of the infamous Volcano Eyjafjallajokull which erupted in 2010 causing a no fly zone over Europe for many days. Our next stop on the Ring Road was Skogafoss, one of the biggest waterfalls in Iceland at 25 metres wide and a drop of 60 metres, it was my favourite waterfall in Iceland since you can walk right up to its base and feel the power of the water cascading down from the the cliff top, millions of gallons of icy water which comes directly from a glacier, with rainbows sprouting out of its misty spray, a truly spectacular waterfall. We climbed the steps next to the falls to see it from above, this area is popular for trekkers that want to hike to Porsmork, which can take up to 9 hours and then from there continue on to Landmannalaugaur, one of Iceland’s most scenic hikes of glaciers and volcanoes, but unfortunately we would not have enough time in our schedule. You would probably need 4 or 5 days at least, also to do that you need a good level of fitness and we are not fit enough to do such a strenuous and long hike at this time. 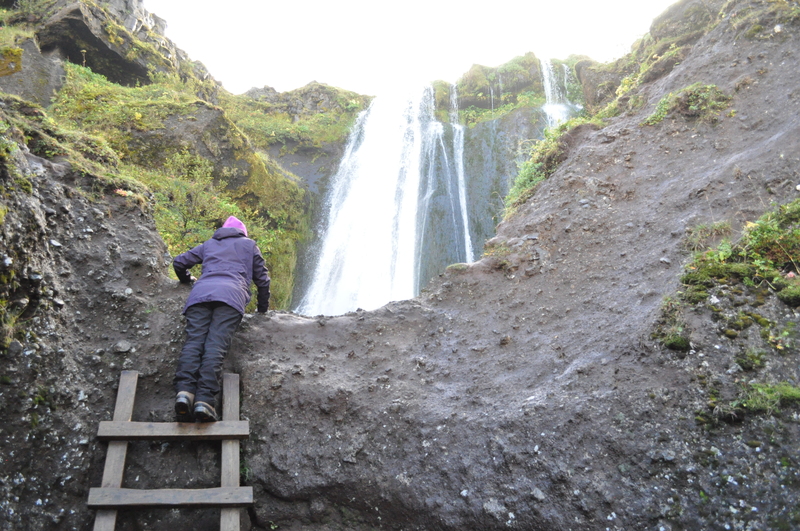 The views from the top of the falls are stunning and in the distance you can see the black sand beaches and all the dark ash that was inherited from the 2010 eruptions of the infamous Eyjafjallajokull. My lungs were burning all the way up those steps, I don’t know how many there are but for my unfit lung capacity they felt like never ending and getting steeper by the minute. It is worth the effort though to get those views. 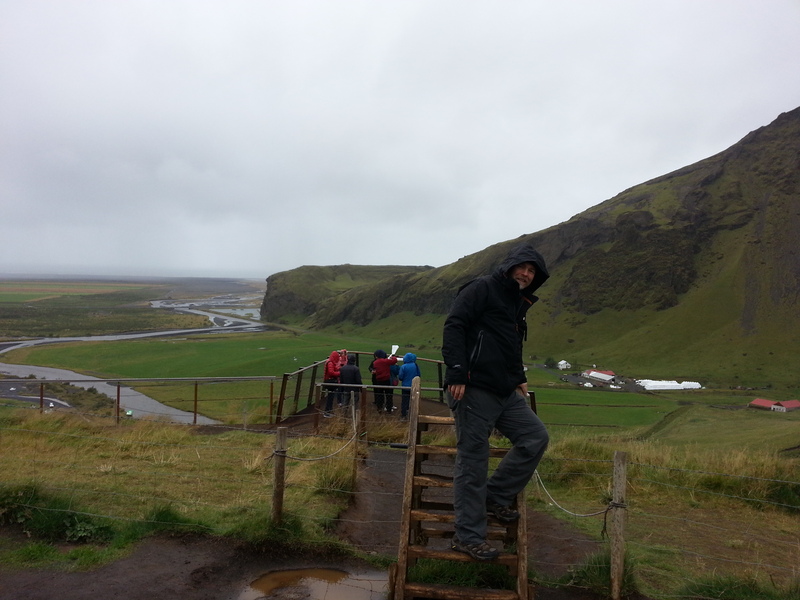 There are good facilities here at Skogafoss with a restaurant, Bistro, Hostel and a camp site next to the falls, but we decided to press on and have our lunch later and so we continued on the Ring Road towards Vik I Myrdal. Vik is the Southernmost village in Iceland ( 180 Km from Reikjavik) , and this little place has became a bit of a hub and a handy stop for exploring the South of Iceland. Vik is also known as the rainiest Southern town and certainly did not disappoint as it was in fact raining when we stopped by to have our lunch here at a little cafe with a petrol station attached to it so we could refuel both our car and our bellies. We ate a ham and cheese toastie and sat by a window with views out to a black sand beach. With the rain outside it felt warm and cosy to stop there for a little while to relax and shelter from the rain and wind. 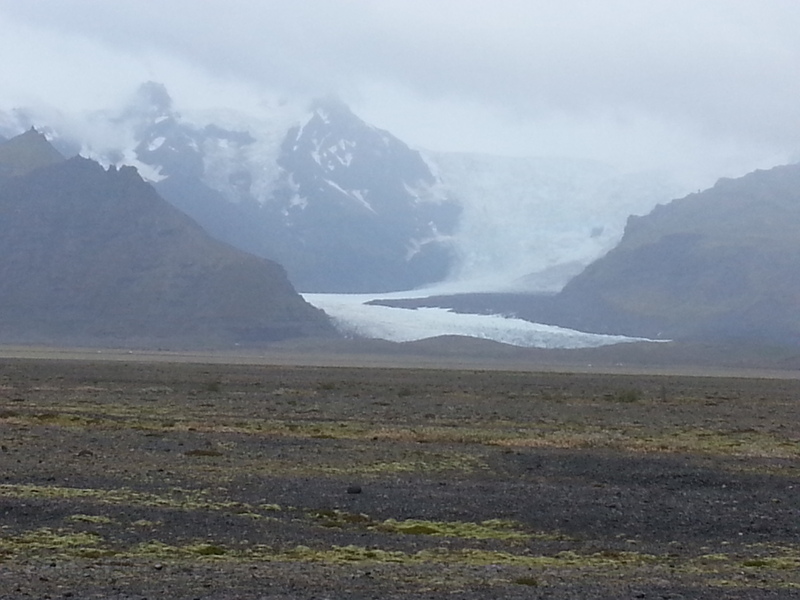 Vik is located under a huge glacier Myrdasjokull, which is itself on top of Katla, a Volcano that is apparently overdue for an eruption that could potentially devastate this whole area. 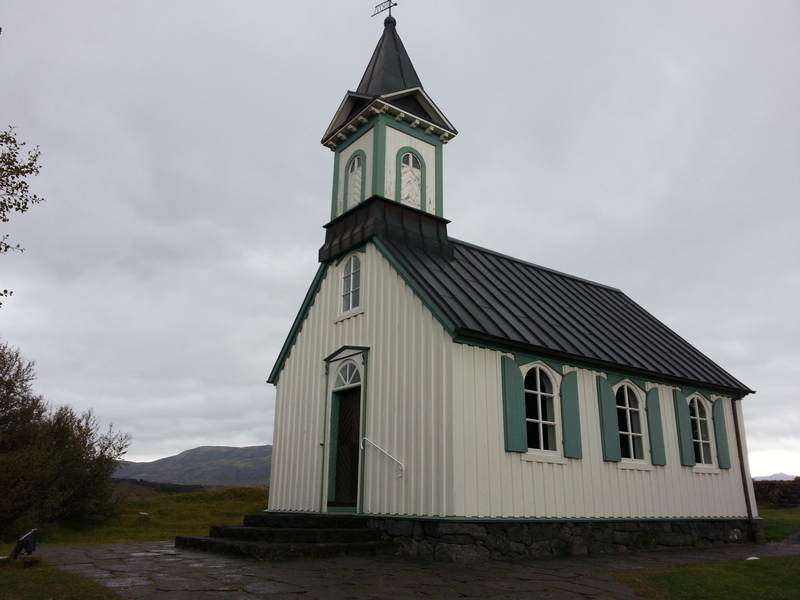 Not far from Vik is Dyrholaey, so we took a little 20 minutes detour to see it, the road is easy and well maintained. The road climbs over to a lighthouse, with amazing views of black sand and giant waves crashing against the rocks. 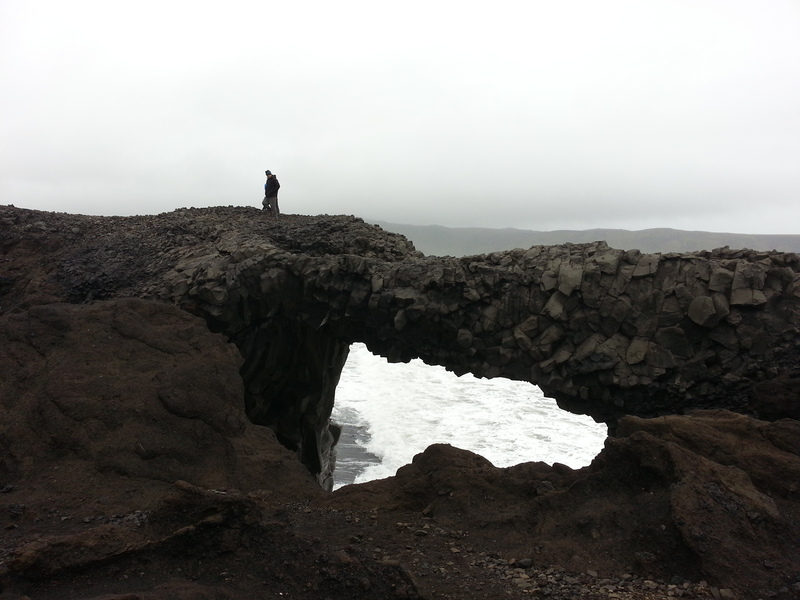 It was very windy and I was worried when Brian climbed over a huge rock arch over the sea. Back on the Ring Road, nothing can prepare you for what comes next, there are many waterfalls on the way and snow at the top of the mountains, vast stretches of black sand and volcanic rock boulders and ash covered in incredibly almost neon green moss. But what fascinated us the most was the enormous glacier tongues that extend from the glacier down the mountain into a valley. There was lots of ohhhh uau aaaaa’s from both of us and we were in awe of this powerful natural wonder. 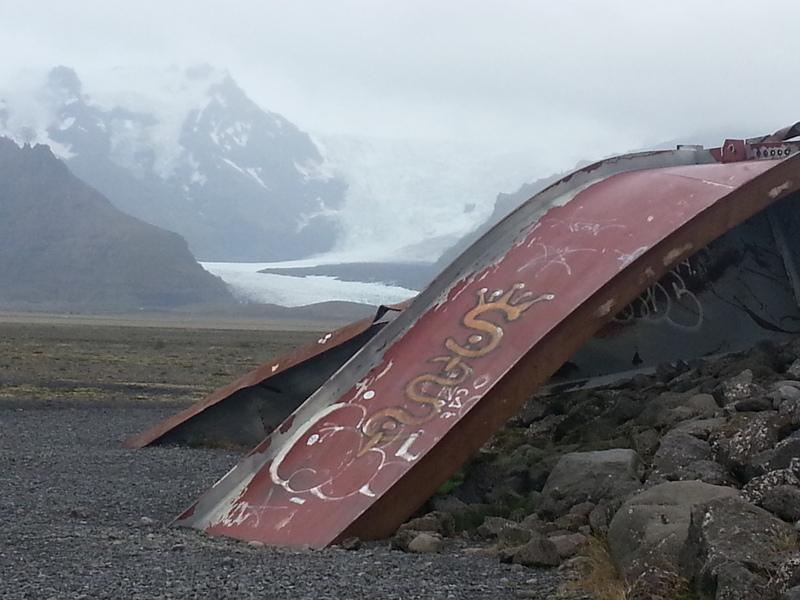 Steel girder twisted like it was a paperclip … the remains of a bridge that was washed away in the volcanic flooding. 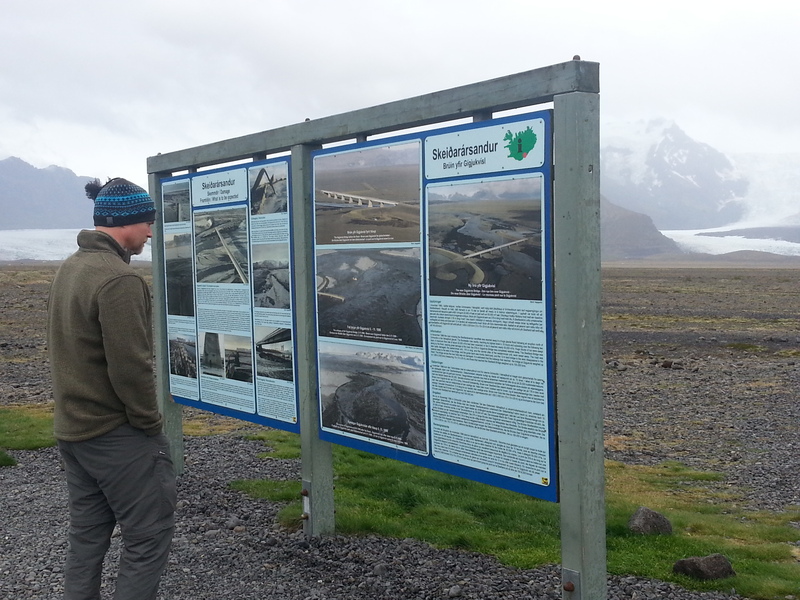 Vatnajokull is the largest glacier in Iceland and there are lots of activities in this area that include getting up close and personal with this natural wonder, but for us was more a case of admiring it from the distance for now and what a view it is. We stopped many times to take photos, but the pictures do not do justice to the beauty of this area. Our next stop was Jokulsarlon, a huge glacier lagoon that has been formed from the icy waters of the nearby glacier that is slowly melting and receding and where icebergs break off the glacier and travel down the lagoon towards the sea. At the first sight of the lagoon Brian and I gasped in amazement, it took our breath away. 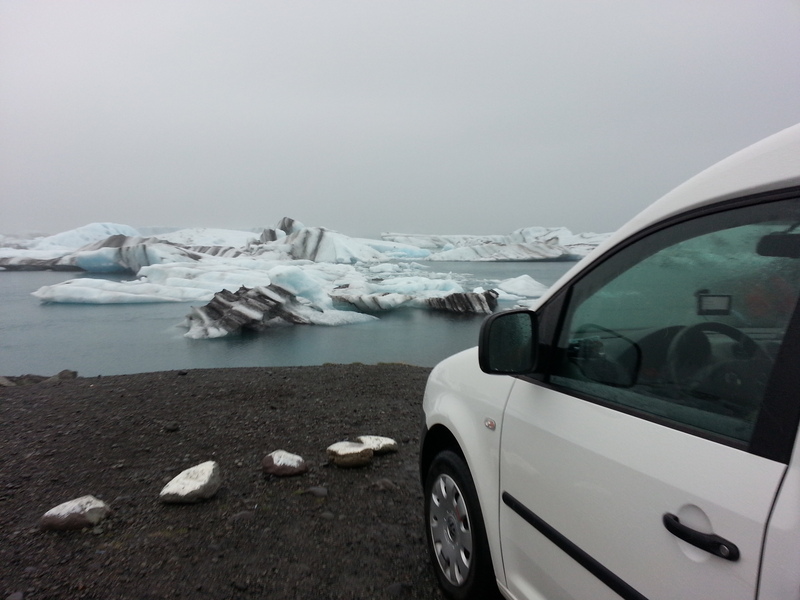 We crossed the bridge and parked our van into a small visitor car park just opposite the lagoon and icebergs floating by. 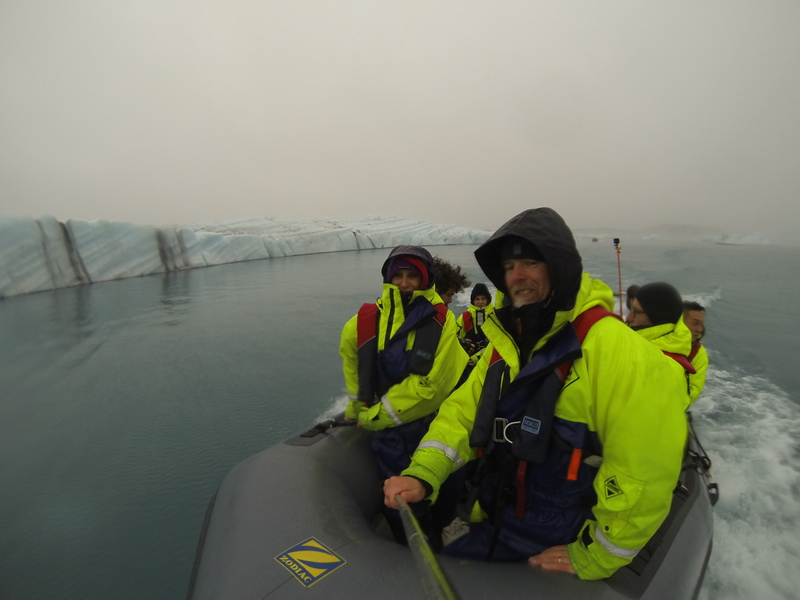 You can take a boat ride into the lagoon with the Amphibian boats, but we decided to go for the Zodiac trip which took us to the edge of the huge glacier. We were all kitted up in special floating suits, boots and gloves before being taken into the lagoon to board the big rubber Zodiac boat. We travelled in two groups and the other Zodiac was in front of us. 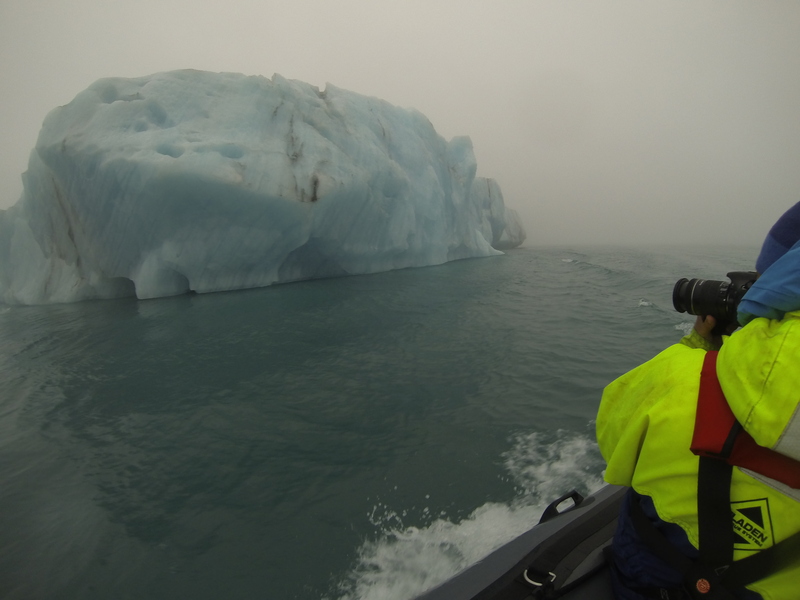 The trip was exhilarating as we sped up passed giant blue icebergs and stopped a short distance from the edge of the glacier and patiently waited to see if a piece of ice would fall down from the glacier into the lagoon. The guide explained that when the ice breaks away from the glacier big waves can form and it would be very dangerous to get too close, so we stayed at a safe distance. It was an amazing experience and a big highlight for me. At times I could hardly keep my eyes open due to the icy water spray from the glacial lagoon as the Zodiac gained speed and the spray felt like bullet pellets digging into my face, it was at times quite painful and I had to turn my back to it and protect my face and eyes. Jokulsarlon has been the setting for Hollywood movies such as the James Bond films View to a Kill and Die Another Day, also Lara Croft:Tomb Raider and Batman Begins. I now feel I would like to see these films again and appreciate it from a new perspective. After this exhilarating Zodiac trip we decided to press on towards Hofn as it was getting later and we were getting very hungry and tired, it was a long day and we still had few miles to cover before getting to Hofn and finding a place to stay for the night. 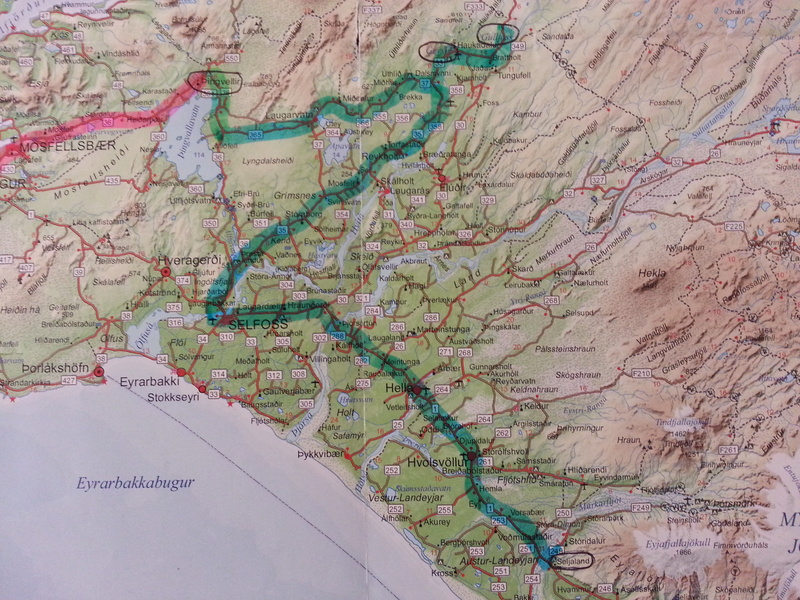 See below the map of our route via the Ring Road on our day 3 taking us from Seijalandsfoss to Hofn. As soon as we arrived in Hofn ( it means harbour), totally by chance we stumbled on this gorgeous little restaurant called Humarhofnin, on the main road through this harbour town and decided to have dinner here and try their famous “langoustine ” speciality dish. I am so glad we did; it was a charming place with very friendly staff and a cosy atmosphere, we were welcomed into the bar area for a drink before being given our table. 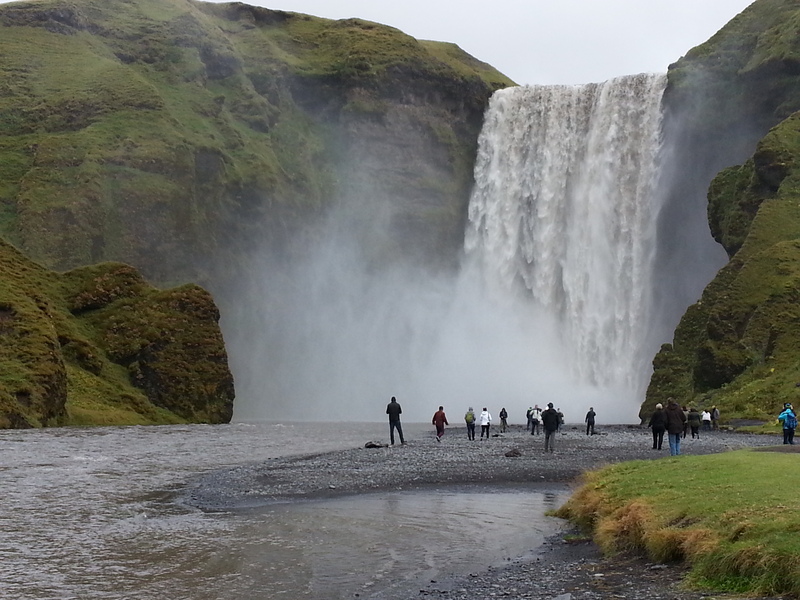 We felt so welcome there, it was the most perfect way to finish our 3rd day in Iceland. After dinner we drove just few metres from this Restaurant to the camp site and bedded down for the night. The camp site we found was right in the centre of the small fishing town of Hofn; it had very good facilities, clean toilets and a very well equipped kitchen as it was also a hostel. It did not take us long to fall in a lovely and well deserved sleep and dream of what next adventures are waiting for us tomorrow. We briefly explored Hofn next morning and walked by the water front, I was surprised to see that the people living here have amazing views of glaciers in their backyard. The houses are pretty and colourful with views towards stunning glaciers. Apologies that I was not able to get the Icelandic alphabet and correctly spell the names of all the places we visited. 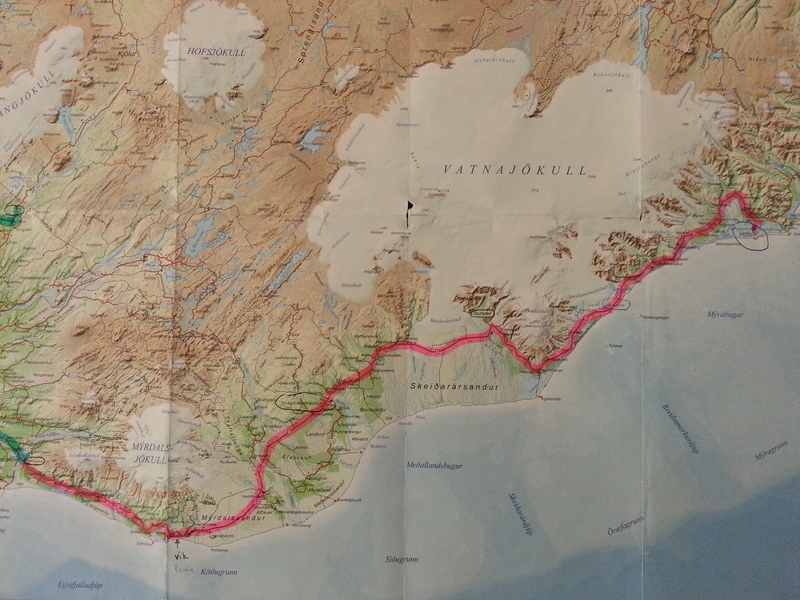 My next post will be about the East Fjords, North of Iceland, West Iceland’s Snaefellnes Peninsula and Reykjavik. Hi Amy, we did manage to pack a lot in those few days and having the van was great, although I would reccomend the next size up. We had few sheep encounters as they do suddenly appear on the road, we got very good at spotting them. Yes I will be doing a post on our costs since we did keep good track of our expenses. You and Andrew would love it there. 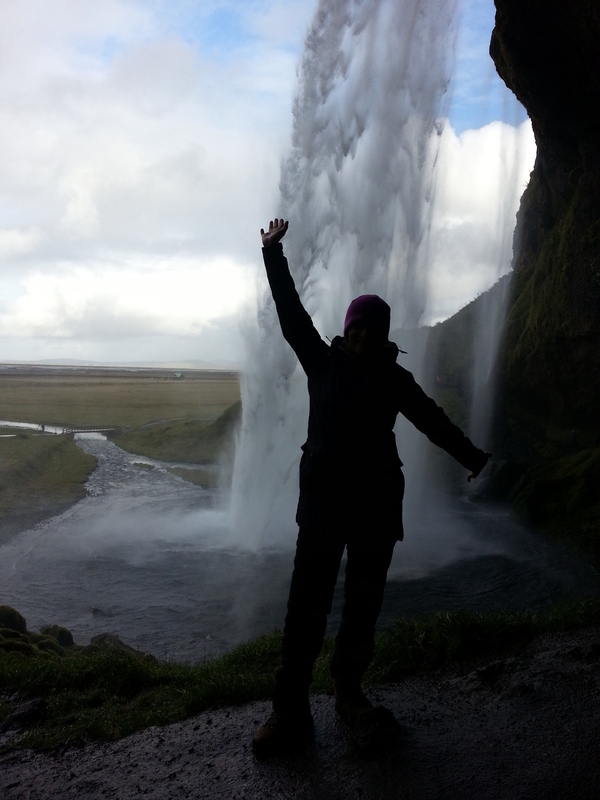 Hi Patti, Iceland was incredible, we were there for 9 days and would love to go back again to see more. It is unlike anywhere I have been before. You are so right that there is not enough time and the list of places to visit its not getting any smaller. I am glad your son also loved Iceland, I think you would too. Amazing photos, it looks like you guys had a great time and your blog has definitely sold Iceland as a must visit in the future place. Will be sure to contact you for all the tips when we do. Look forward to next instalment. Aline querida, fico super feliz de saber que tu leu o meu blog e que bom que tu curtiu conhecer um pouco da Islandia, foi uma aventura e tanto naquela camper van. Obrigada sobrinha, bjs. 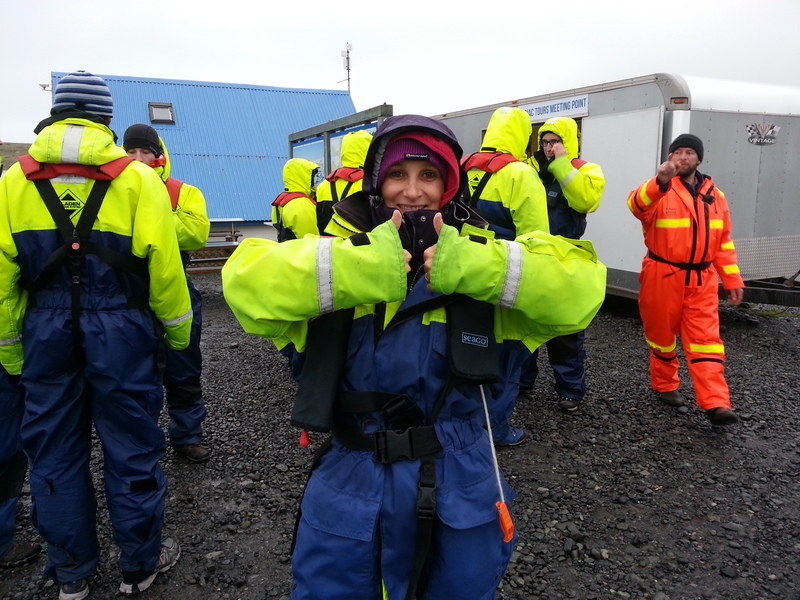 Hi Anita, We had every type of weather in Iceland, but at least we did have the right clothes to keep us dry and warm most of the time. It is an amazing place and so sparcely populated we loved having natural wonders often all to ourselves. I do think you and Richard would love it there. You really captured the beauty and wonder of this amazing country. Thank you for sharing all of this with us. I also loved the photos. Wishing you a very happy Christmas and many fab adventures in 2016. Thank you Val, have a great Christmas also, with your lovely family, I will be thinking of you 😀 May 2016 bring us lots of fun times, your friendship is very precious to me.